My parents had Lennox central air conditioner for 22 years! The house they’re living in was built in 1953. They’re the third owners. My father asked the previous homeowner about the central air conditioner units and he found out the unit had been running fine, since it was installs. 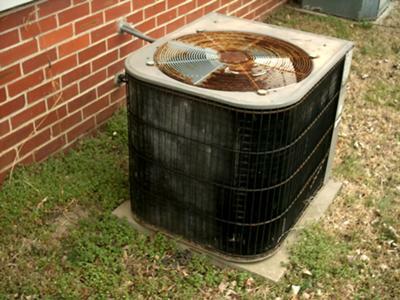 The Lennox central air conditioner was in installed in 1988. It didn’t come with the house. However, it was the first central air conditioner units to be installs. The second owners told my father that the central air conditioner has not had any part replace. All the parts are original. My father had paid technician to add Freon, clean the furnace burners, replace the indoor fan and replace the stuck contactor. That is all. All their neighbors have different brand of central air conditioner units and some of their central air conditioner are in the 1975 and late 80. I bought my house in 2003 and it came with Goodman central air conditioner units. The house I’m living in right now was built in 2003 and Goodman was the original air conditioner units. The Goodman air conditioner had just turn seven years old and it need a lot of attention. I’m guesses nowadays; central air conditioners are not built to last for 22 or 30 years. I just bought a house last year and it has an old Lennox central A/C unit .... from 1986! So as of now (2017)it is 31 years old! I'm going to have it replaced with another Lennox as the old one is looking pretty shabby and uses the old R-22. We have had a Lennox installed in our Southern Californian home since 1988. The only issue we have had in the last 20+ years is a small broken spring in the condenser unit. That was easily fixed. It is a larger (from what I can figure out from your product info) 4 ton central ac unit on a 2000 sq ft home. We were told that the unit was bigger than normally for this size house because the other houses in our area are 2800-3600 and they used the same unit for all the houses. Our model number is HS18-651-8P. The only real maintenance we do is the filter cleaning/replacing on the blower unit. Serial number: 5188c049 are incorrect. You miss a number in the serial number. It supposed to be 5188C01049.